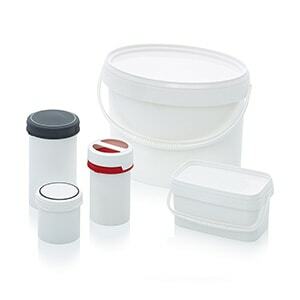 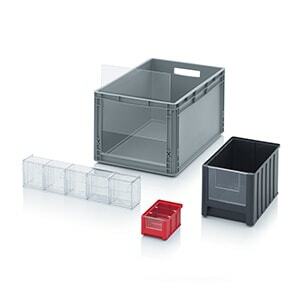 Thanks to its tippable, transparent containers, AUER Packaging's system trolley for tipping boxes makes it easy to keep tabs on its contents – and to access individual items – at any time. 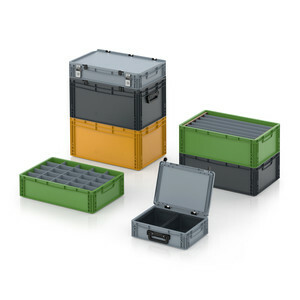 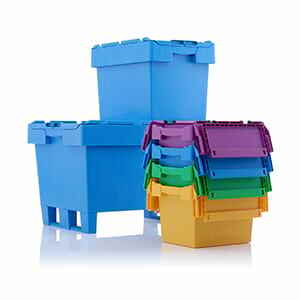 Different tipping box modules can be combined at will. 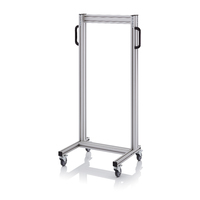 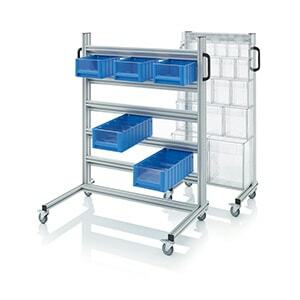 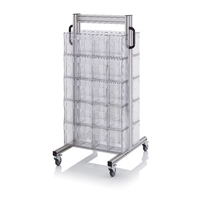 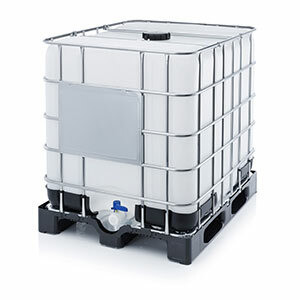 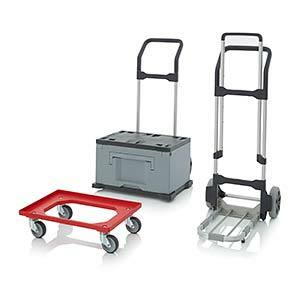 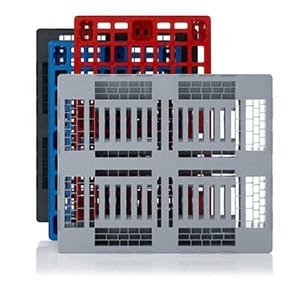 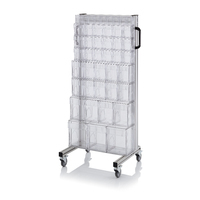 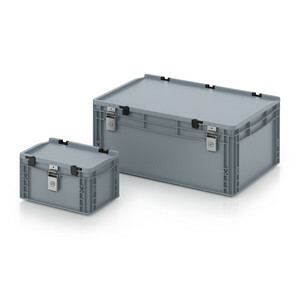 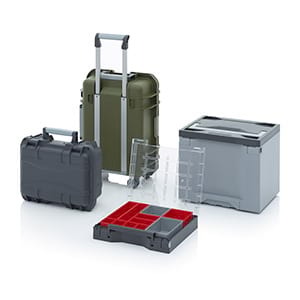 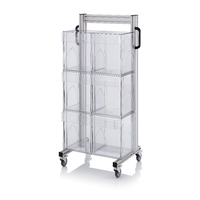 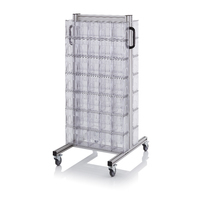 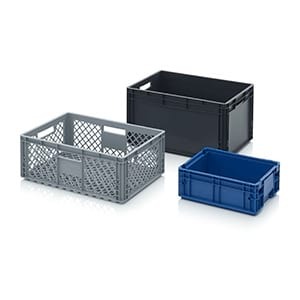 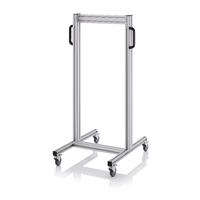 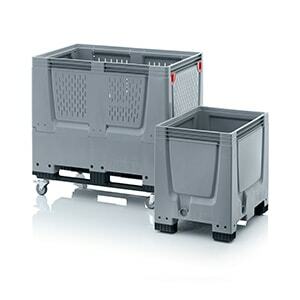 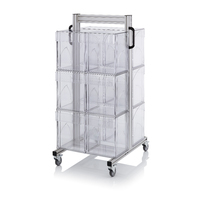 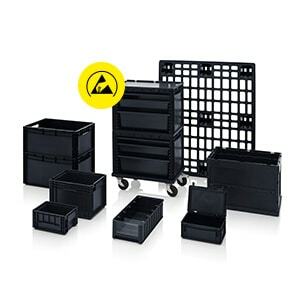 When ordering, you can choose whether the system trolley is to be able to be loaded on one side or both sides.